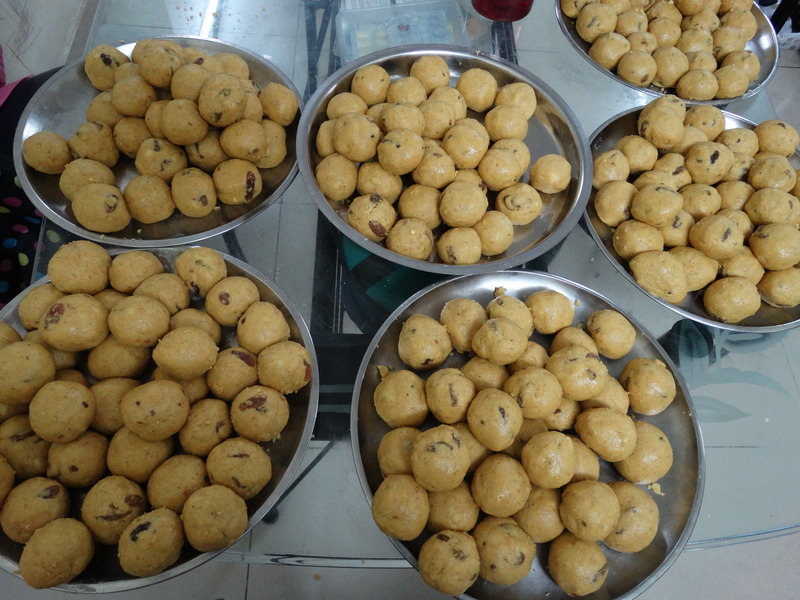 I have been relishing Besan Laddo since my childhood days. Recently, I was introduced to Crunchy Besan Laddo…YES if you are not aware that they can be Crunchy, then here is a all new recipe to make a yummy treat! 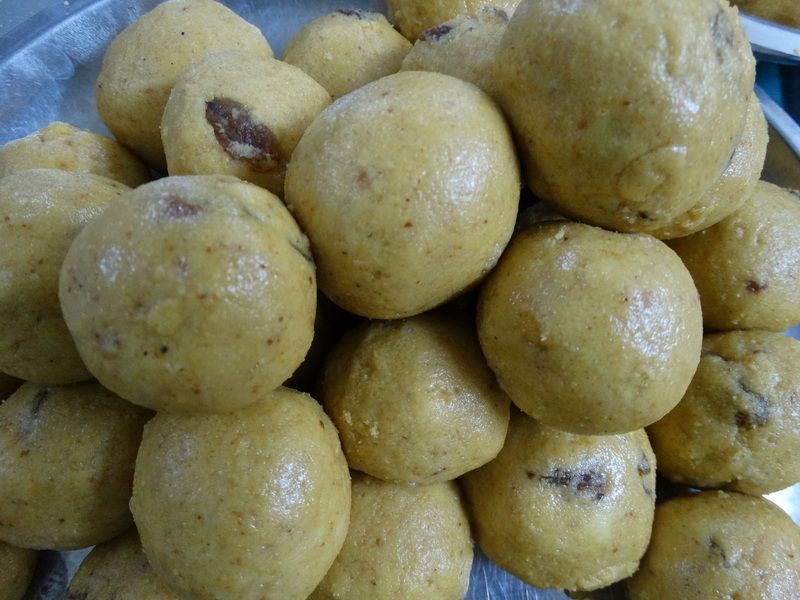 Besan Laddo can be made crunchy by adding Dink which is an edible gum or Gondh (as known in hindi). 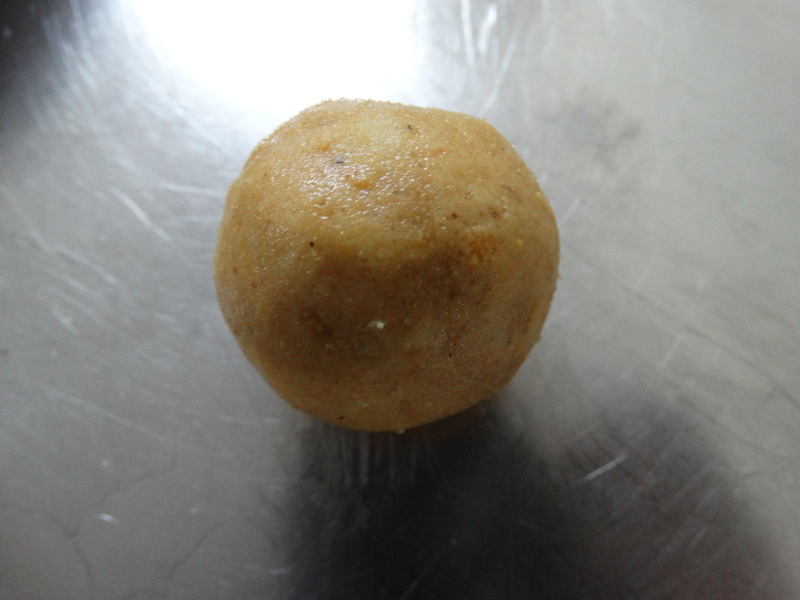 Here is a tip use thick besan which is available in the market as Laddo besan. Using the thick variety of besan give the laddo a different feel and makes them more appetizing. Having a bite of the laddo reminds you of the childhood days when eats too much of sweets was not taboo. However, you can make the laddo diet once by adding sugar free instead of the powdered sugar. Also sieve the besan well so that here are no lumps and keep checking the microwave after 5 to 6 mins to see whether the besan is evenly roasted. 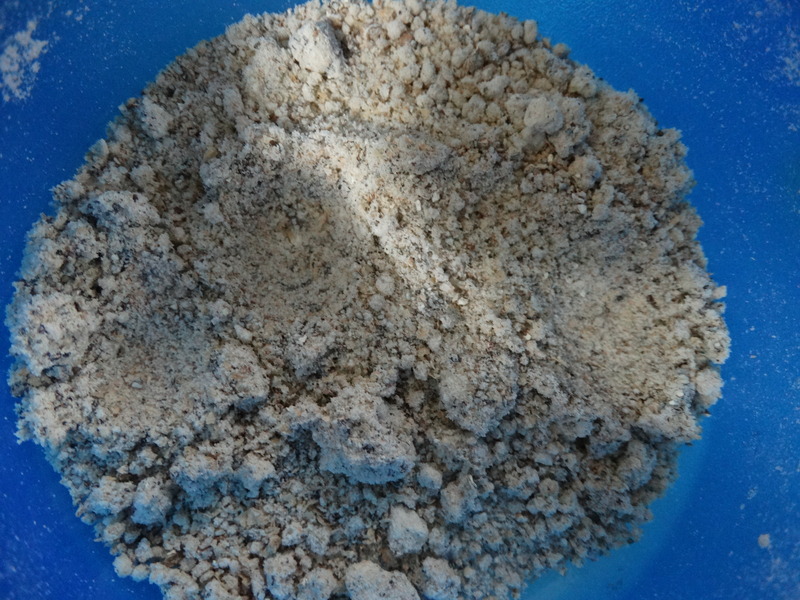 It helps if you move the besan powder with the help of ladle. 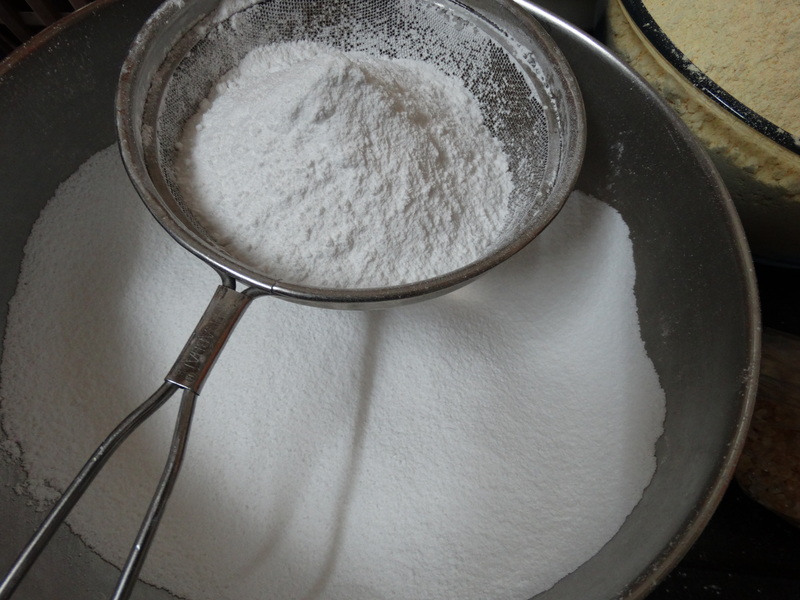 You can make powdered sugar at home by grinding the sugar crystals in a mixture and them making them fine by pouring it into the sieve. 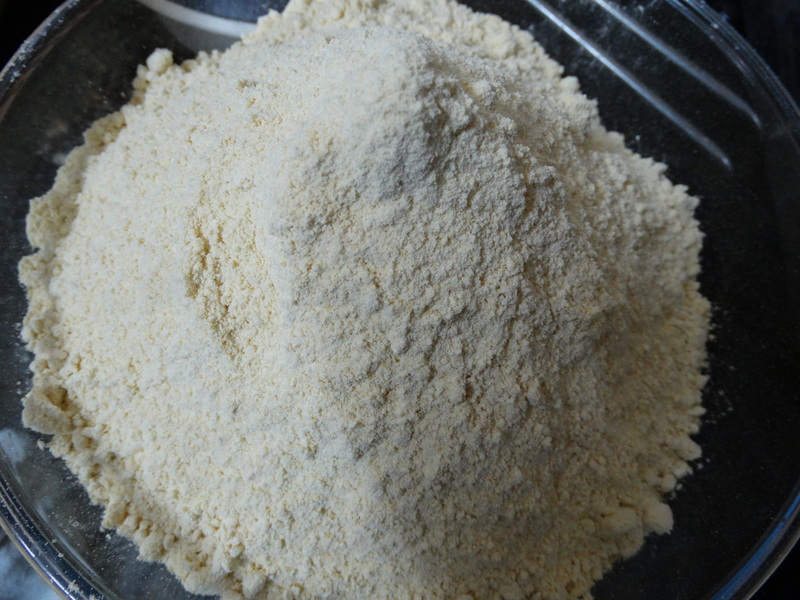 Eliachi powder can be also made at home easily. 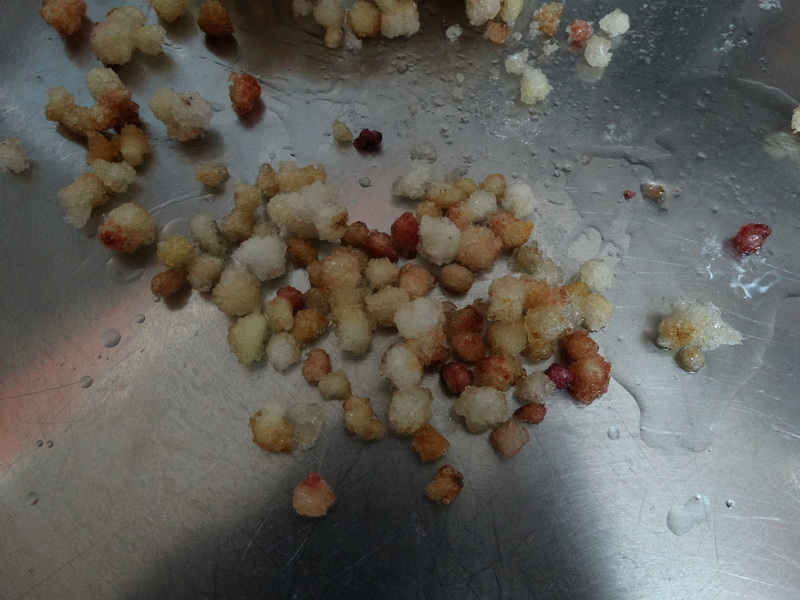 In a microwave first roast the Besan powder i.e Chana Dal for 15- 20 mins until it turns golden brown in colour. 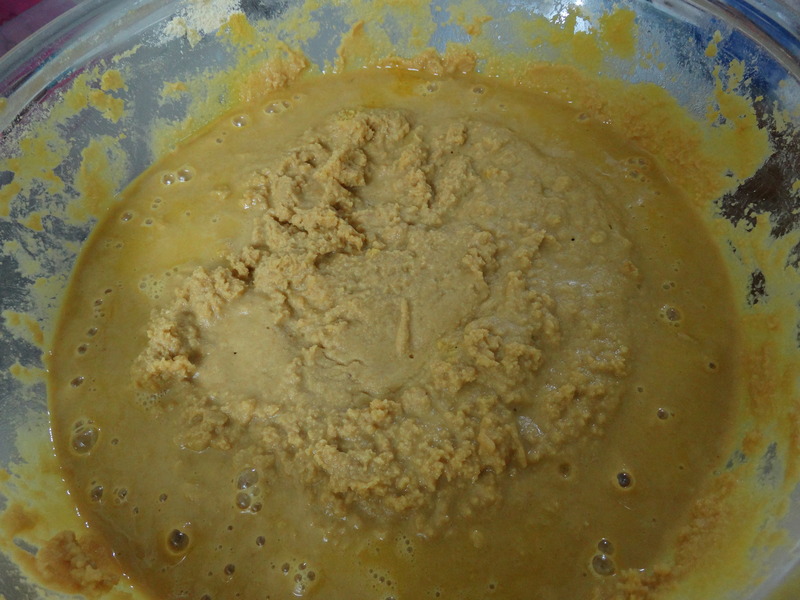 Add Ghee in the roasted besan and again microwave the mixture for 15 minutes. 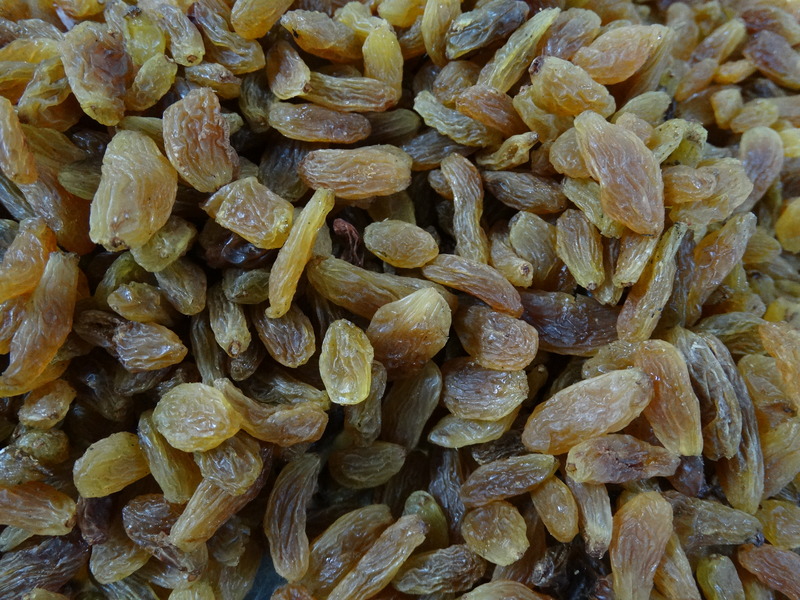 You will see a lovely golden brown colour and the aroma will fill the room. 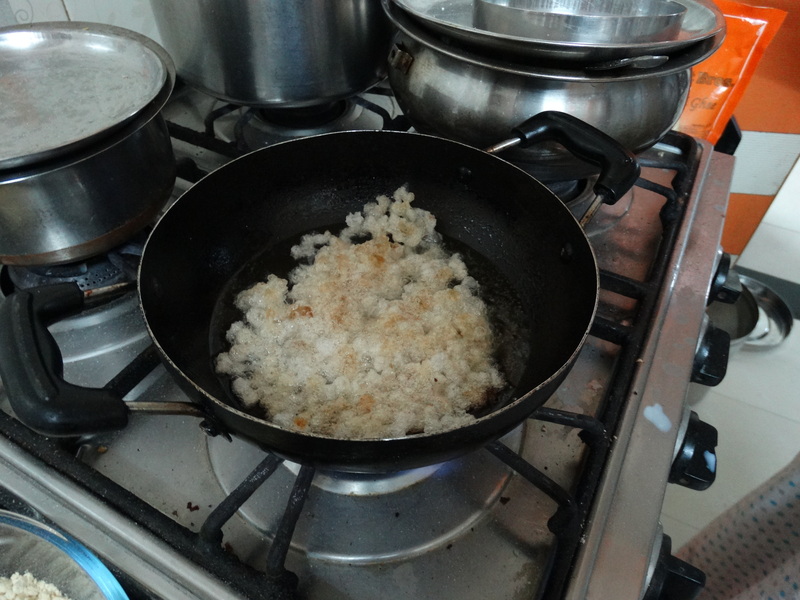 In a non stick utensil add 3 tsp of ghee and fry the dink until they expand and become absolutely crunchy. 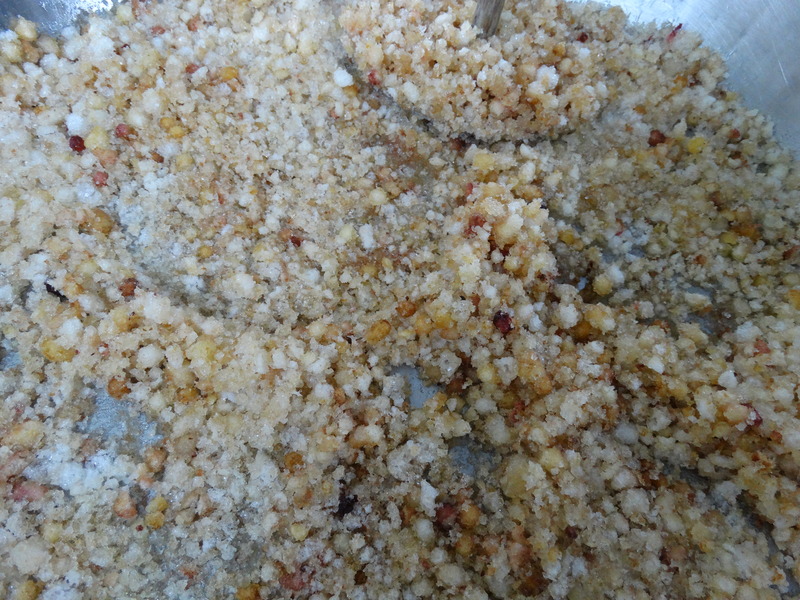 Now crush the fried dink to form a smooth crush. 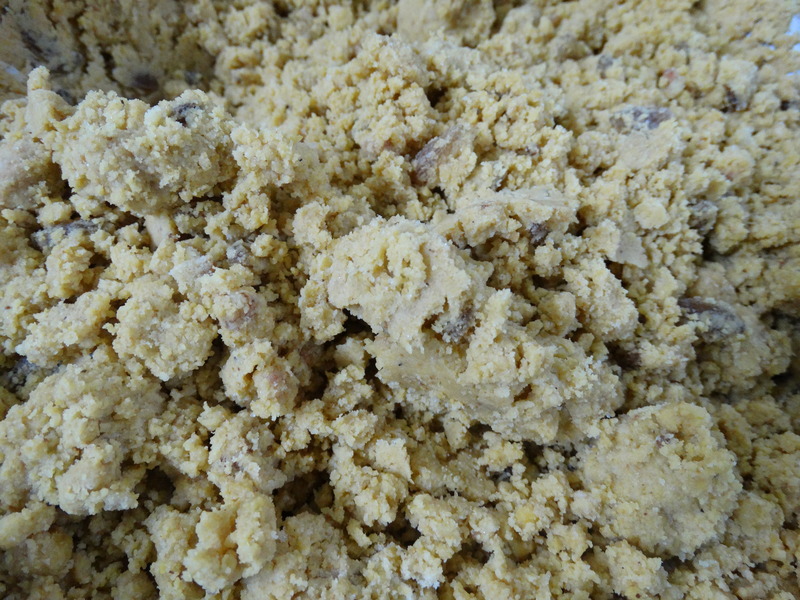 Add the crushed dink, ealichi powder and raisins to the mixture of roasted besan and ghee to form a homogeneous mixture. Finally add powdered sugar evenly and then roll the laddo mixture into round balls. Yummy Crunchy Besan Laddo are ready! !